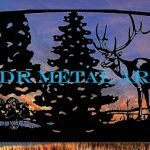 decorative driveway gates Archives - Custom Driveway Gates - Iron Steel & Aluminum - JDR Metal Art - FREE Standard Shipping! Decorative driveway gates and fencing not only add security but are a great opportunity to add long lasting beauty and value to your home. We built these fence and gate panels for a wonderful couple who live in the countryside of Marion, OH. Each of these panels are approximately 8′ wide. 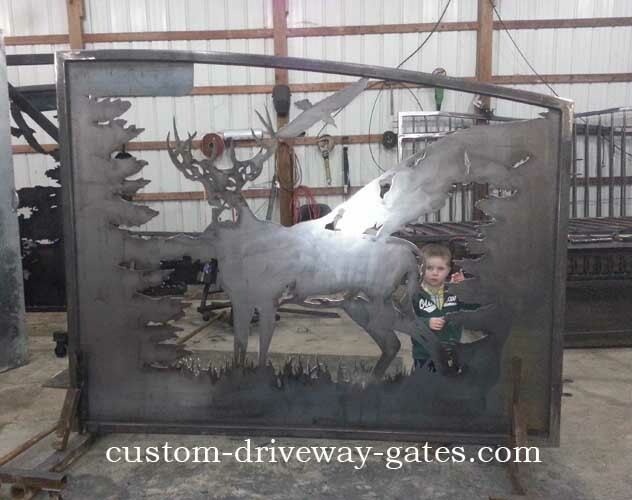 Recently at JDR Metal Art we built this handmade West Virginia driveway gate with some design help from our clients. 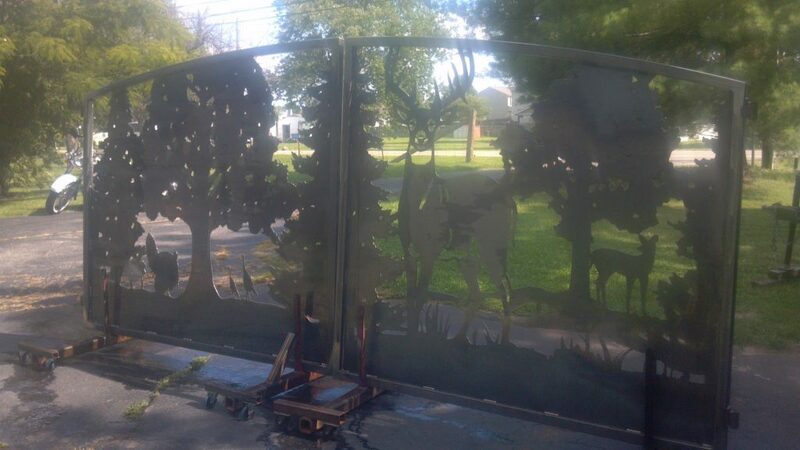 They gave us some photos of a turkey tom and hens, as well as a whitetail doe, which we added into modified version of our standard silhouette style deer driveway gate. 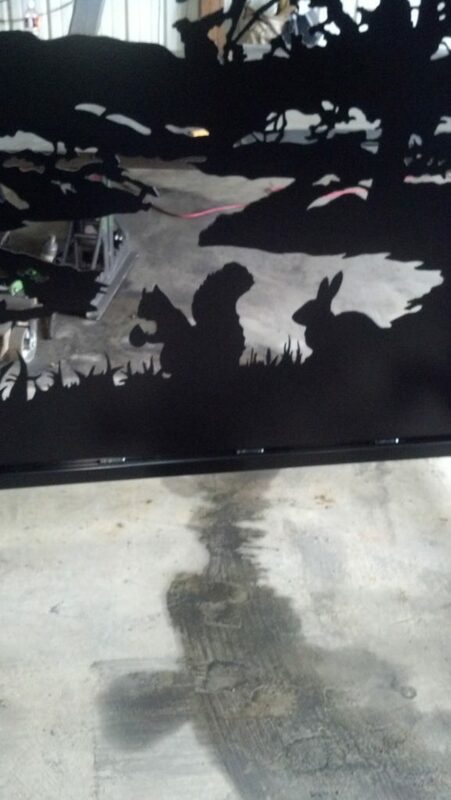 Being a dual swing gate, each panel is 7′ wide and weighs about 200 lbs. 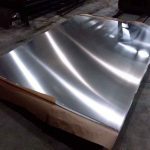 We used 1/8″ thick steel for the gate material. We supplied heavy duty 4×4 steel posts with 1/4″ thick walls, as well as J-bolt hinges rated for 600 lbs per side. We powder coated everything with a black super durable polyester finish. The clients then came and picked up the finished product. They hung the gates themselves and had a professional gate opener installer wrap up the project with automated openers. We offer many varieties of custom gates to folks in West Virginia (and everywhere else). Using our custom gate design process makes it easy for you to have a personalized driveway gate of your own. There is no design fee if you choose an existing design. We offer designs for everything from deer and wildlife to horses and trees. All our gates add security, beauty, and otherwise increase the value of your property. Contact us today to get started on your own security gate!